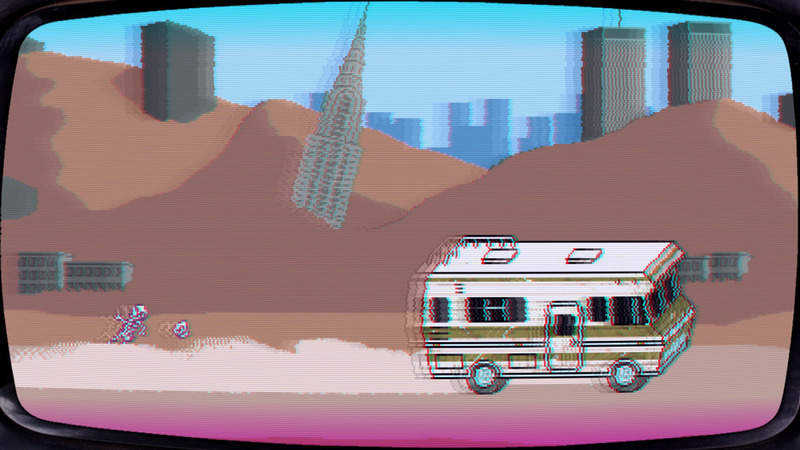 "An action packed game set in the zombie apocalypse"
Dead Pixels II: Straight to Video is a retro style side scrolling action shoot 'em up game set in the near future, you play as young and well armed man whose camper van breaks down while trying to escape the city in the aftermath of the zombie apocalypse and not surprisingly the city is overrun with the undead. 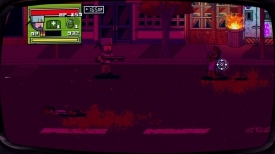 After receiving a radio call you are offered salvation from another group of survivors but you must get past four blocks of the city full of zombies before that happens, as you make your way through the city blasting zombies you need to make sure that you can pick up provisions and ammunition so as to not get trapped by the zombies. There is some really fun little touches too such as accidentally shooting a car and setting off its horn which the sound then attracts more zombies, also running out of bullets and trying to just run and dodge the hordes of undead is tense but also very fun, but mostly this game is about shooting as many zombies as you can and generally blowing everything up, and there is nothing wrong with that! This is a really fun and action packed game and although only a demo version there is a fair bit of game to lay here and it is very enjoyable. 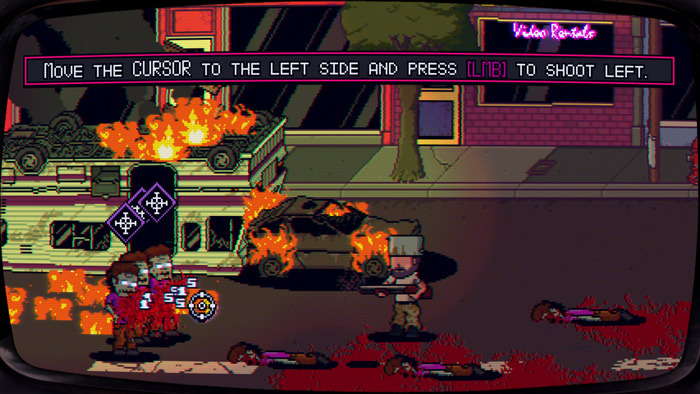 You can download Dead Pixels II: Straight to Video demo here for free.